We are a Department of Transportation certified cylinder requalifier. This assures you that every test we perform is done to very precise standards using highly sensitive equipment. Your safety is our prime concern. Empire Cylinder is your local supplier of welding gases and welding expendables in SE Volusia County. 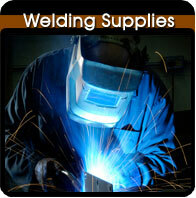 See our Welding Supplies link for more information. We supply Beverage CO2 and G-Gas to local Restaurants and Taverns. 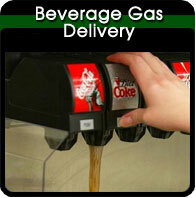 Check out our Beverage Gas Delivery link and see what we can do for you. At Empire Cylinder we can test pressure vessels that are used in a variety of industries and sporting activities. Most Hydro testing shops test dry chemical fire extinguishers and industrial gas cylinders such as acetylene and other toxic gases. 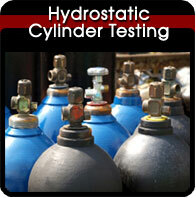 Our facility only tests clean gas cylinders. This guarantees no contamination in your SCUBA tank or Rescue air pack. That’s important, isn’t it? By specializing in this area, we provide attention to detail that is typically over looked by larger shops. 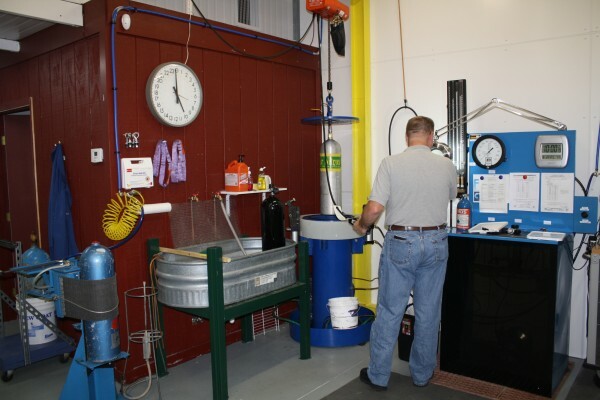 Our testing lab is custom tailored to the SCUBA, Fire Rescue and other specialized industries that are often treated poorly by the larger Hydrostatic testing shops. We provide pick up and delivery services for Commercial and Government customers with a one-week turn around. Faster service can be arranged. Walk-ins are always welcome. We like meeting new customers!